When should you call your doula? 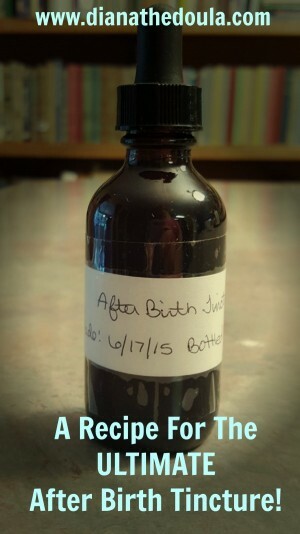 A Recipe for the ULTIMATE Afterpain Tincture! This post may contain affiliate links, at no extra cost to you. When I was expecting Judith (#12) I wanted to have something to help with the after pain contractions after the birth. As we don’t have much money I decided to make it myself. Please understand when you first start out using herbs, making tinctures, etc. the cost can seem quite high. I purchase my herbs (usually) by the pound so I have some available for other projects. This way I can grow my stash over time. In the beginning this can appear quite costly but eventually becomes the cheaper route. If this isn’t an option for you then buy your herbs by the 4 oz. bag. I use Mountain Rose Herbs as my supplier. I searched the internet for a recipe and basically found nothing. I almost purchased a commercial tincture because I didn’t want to not have anything and I don’t like the idea of taking ibuprofen (although, I do take it occasionally anyway). I came up with a tincture using six herbs, and it worked great for me! I still took ibuprofen a few times but not as often as I usually do after having a baby. As those that have had a few babies already know, the afterpains get worse after each baby and can be almost unbearable. Take all your herbs and mix them in a big bowl. Place your herbs in a jar and cover with 80 proof alcohol. Let sit in a dark closet for 6 weeks, shaking daily (or close to that). After six weeks strain and bottle in a dark glass jar. I buy the 2 oz. tincture bottles with droppers from Mountain Rose Herbs. Take a dropperful every 2-3 hours, or as needed. I also see no reason why you can’t take this for menstrual cramps as well. *The measurements with this recipe are using dried herbs. If you have fresh herbs then increase your measurement to three tablespoons instead of the specified two. I’m always looking for and trying new recipes. If you know of any that have worked for you please leave me a comment or feel free to email me! What is the Zika Virus and Should You Worry? This post may contain affiliate links at no cost to you.